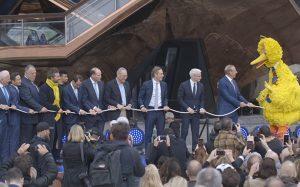 Nine months after launch, Compass’ commercial division is yet to make its mark on the New York commercial market. Instead, the brokerage says it is spending 2019 “listening to” its commercial agents before charting out the unit’s future. In August, the startup, now valued at $4.4 billion, announced the arrival of its commercial arm, to be led by Eastern Consolidated veterans Adelaide Polsinelli and Robin Abrams. Since then, Polsinelli said the team has grown to include 30 full-time commercial brokers in New York, and will expand further. In addition, the company said it has around 70 brokers nationwide who conduct sporadic commercial transactions. It’s not an original idea: Many major residential brokerages have opened commercial divisions to complement an overflow of deals stemming from residential clients. But few, if any, establish themselves as prominent commercial firms in their own right. “There’s no reference of a residential company with a successful commercial arm,” said James Famularo, who was a principal at Eastern Consolidated and now leads Meridian Capital Group’s retail leasing arm. It is difficult to gauge the ambition and direction of Compass’ new division, as the company was unable to provide clear metrics on the performance of its new unit. Instead, it provided The Real Deal with the results of a survey it conducted on its brokers, that said it had more than 100 commercial listings nationwide spanning 500,000 square feet, with a total listing value around $250 million. However, Compass would not provide the listings, because it said some were off-market. When asked how many deals the division has done since it launched, a Compass spokesperson said it had done a “handful,” but declined to provide a figure. An analysis by TRD identified eight deals in New York, based on news reports and submitted deals made public between August 2018 and April 2019. The division has grown to include brokers covering investment sales, office leasing, retail spaces and hotel markets, but Compass would not provide specifics on the composition of the division — how many brokers were dedicated to each discipline. With 30 dedicated agents in New York, the commercial division is already larger than that of rival residential brokerages that dabble in commercial sales and leasing. At Douglas Elliman, there are approximately two dozen brokers dedicated to commercial sales, as well as a small retail team that was previously led by the late Faith Hope Consolo. Nest Seekers International, the residential brokerage led by Eddie Shapiro, has a dozen brokers focused on commercial sales, while Corcoran Group and Brown Harris Stevens also retain a small commercial presence. “Our experience with them has been pretty much the same as any other firm in the marketplace,” Shapiro said of Compass. 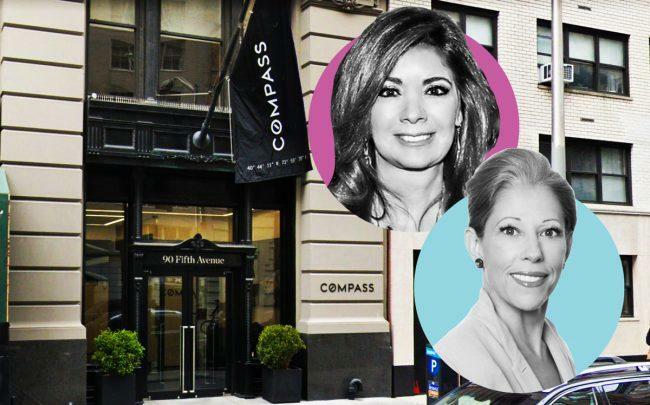 Though Compass, which received $400 million in a Series F funding round in September, isn’t positioned to pick off the city’s biggest commercial brokerages like CBRE, Cushman & Wakefield and JLL, it could create an additional headache for the crowd of middle-market firms scrapping for deals, like Meridian or Lee & Associates, some observers said. “It will be competing to take a bite of what Meridian does, or what we do,” Shapiro said. Andrew Heiberger, whose firm Town Residential shuttered last year when it had 600 agents, had a team of 18 dedicated commercial brokers led by Jonathan Butwin, and an additional 30 agents who did occasional commercial deals. With its current setup, Heiberger didn’t see Compass making a big dent in the local commercial market.